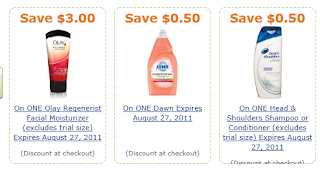 Did you know Amazon has online clipable coupons and money-saving codes? To redeem an Amazon coupon, click on the coupon on the product page, then add the product to your cart. The discount will be automatically applied when you check out. Now, is a great time to stock up on back to school essentials. Or just fill your pantry with all these great grocery deals from Amazon. 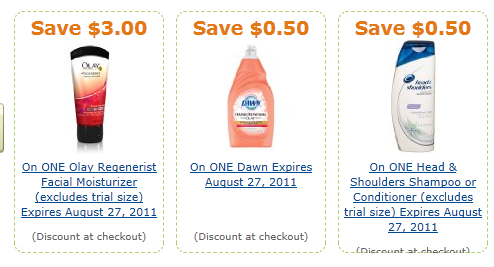 Many of these Amazon coupons are good until September 15, 2011. The deals are even better when you do Subscribe and Save. Remember, you can always cancel subscribe and save after your first order has shipped. Save time (stay at home rather than shopping at the crowded grocery store or wholesale club) and save money! Many thanks to Cha Ching Queen for compiling this list!